ACTION BAIL BONDS IS HERE FOR YOU! Action Bail Bonds Makes Bail in Georgetown Easy. We'll Beat Any Price! The process of securing a bails bond Georgetown, Texas can be confusing and frustrating at the same time. 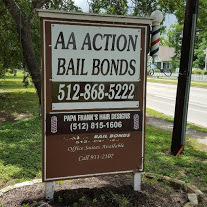 Take the stress off your shoulders by turning to the professionals at Action Bail Bonds in Georgetown, Texas. Why you should chooseAction Bail Bonds? Ready to take the next step? You can get your loved one out of Williamson County Jail withing the hour! Call us at 512-688-5160 to start the process.